O‘ahu is home to MANY GOLF COURSES. Some of them are ultra-exclusive—operated only for military personnel or private club members—while some are so busy that tee times are difficult to arrange. However, if you’re an avid golfer, playing a round or two on one of O’ahu’s many courses is an experience not to be missed! leisurely day out on the green? aloHa golf tours can do all the legwork for you! It provides golfers (amateur or otherwise) round-trip transportation from all Waikiki hotels, coordinates tee times, playing partners for solo golfers, as well as provides equipment rentals and other course supplies. Even if you don’t play golf, for a small fee, Aloha Golf Tours can accommodate non-golfers who want to tag along. Courses offered include Royal Hawaiian Golf Club, Ewa Beach Golf Club, Kapolei Golf Club and Turtle Bay Resort’s courses, among others. 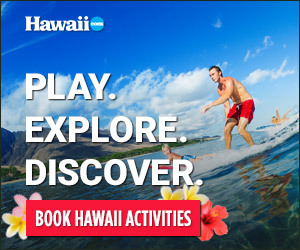 Visit golftoursoahu.com. Perfect your swing at a variety of golf courses with Hawaii tee times. The company provides golf discounts at more than 50 golf courses in Hawai‘i, including Turtle Bay, Ko‘olau Golf Club, Ko Olina Golf Club, Royal Hawaiian Golf Club and Pearl Country Club.